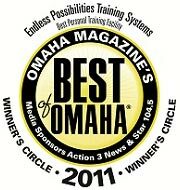 Welcome to Endless Possibilities Training Systems. If you’re reading this, you realize you could use some help reaching your personal fitness goals. You’re looking for the right training program for you, a personal trainer you can work with, at a price you can afford. We take a very client–focused approach to personalized training. We use proven training techniques, many of which you’ve probably never done in a “regular” gym. We tell you why you’re doing what you’re doing, and explain the fitness benefits. We make personal training affordable, simple and—believe it or not—something you look forward to doing! 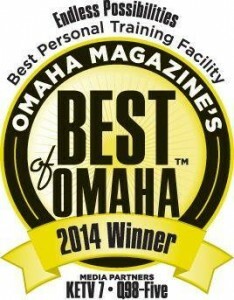 We’re a unique type of personal and athletic training facility; you won’t have to buy a membership and then have to buy training sessions; you won’t have 200 people watching you train; you won’t have to wait for machines; and you won’t have to max out your credit card. Some folks who’ve been to some of the “big gyms” find this hard to believe. So we encourage you to take a look around our website, and if you like what you see, give us a call at 402-290-3915 or use our Contact Form. Have a few minutes? 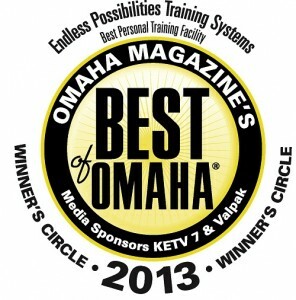 Check out some of our online videos for a virtual tour with some of our omaha personal trainers and clients! So here’s what we’ll do; we’ll take you through a free consultation to show you what we’re about, why we’re a little different, and well…why we’re a little better. We’ll ask questions, talk, and take the time needed to get an in-depth understanding of your fitness goals. 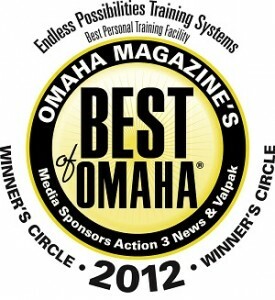 We’ll show you our training facility, equipment, and nutrition software. And we’ll be honest! We’ll tell you where you’re at and how we’ll work with you to get where you want to be. Even if you decide not to train with us, you’ll leave with a much better understanding of your current fitness level, nutrition, and the role resistance training can play in overall fitness. It’s free. No obligation, no high pressure sales, no “purchase required,” no nothing. Free. Isn’t it time to start defining your body, instead of your body defining you? You might surprise yourself. It’s a definite possibility. Our place is full of them. Began training at 24 Hour Fitness in 2004. 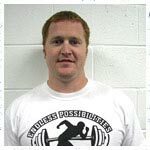 Acquired extensive knowledge and skills in Strongman, Powerlifting, and All-Around Lifting, where he is a USAWA National Champion. 90% of his clients are women looking to lose weight, the other 10% are athletes and men looking to lose weight and get in shape. 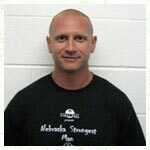 Holds a Bachelor's in Exercise Science from Nebraska Wesleyan University. He began training in college, and fine-tuned his skills at Gold's Gym and Prairie Life Center. Member of the USA Weightlifting Association, competing in all-around weightlifting events, placing third at Nationals. Sean has trained many different clients over his 11 year career. He enjoys training clients that are very serious about their goals! If you want a fun and challenging workout give Sean a call. Teresa has a master's degree in exercise science and Ph.D. focused on health behavior. With over 12 years experience working with more than 900 clients in the Omaha area, Teresa successfully trains many clients with numerous chronic medical problems. No matter what challenges you face, if you're ready to progress beyond your limits and get in the best shape of your life, give Teresa a call. Candice found a true passion for personal training over eight years ago. She has provided weight training to men, women and teens for over five years. She prides herself on being personable while focusing on helping people make lifestyle changes. 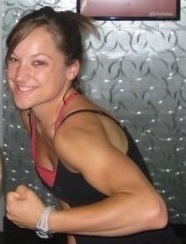 Candice always strives for more education regarding strength training and nutrition. Her current goal is to receive her Masters in Dietetics. Candice enjoys staying active during her downtime and spending time with her husband. Lisa began her interest in personal training as a trainee over eight years ago. She saw first-hand the importance of having a knowledgeable personal trainer to push one to improve and learn about yourself. She went on to obtain her certification so she can help others to realize their individual goals. Lisa's clients include business professionals and others who are looking to improve their health for short and long-term benefits. If you are looking to achieve your goals while discovering something new about yourself, give her a call today.